An epic novel exposing the ugliness of war and the beauty of hope. The city of Kiev was bombed in Hitler's blitzkrieg across the Soviet Union, but the constant siege was only the beginning for her citizens. 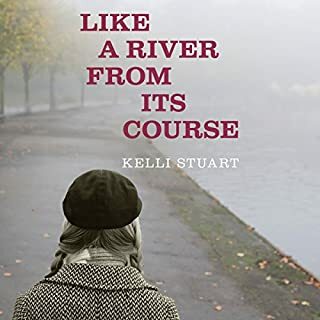 In this sweeping historical saga, Kelli Stuart takes the listener on a captivating journey into the little-known history of Ukraine's tragedies through the eyes of four compelling characters who experience the same story from different perspectives. Outstanding narrator of a compelling story. 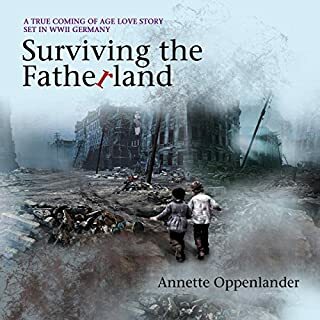 Spanning 13 years from 1940 to 1953 and set against the epic panorama of WWII, author Annette Oppenlander's Surviving the Fatherland is a sweeping saga of family, love, and betrayal that illuminates an intimate part of history seldom seen: the children's war. 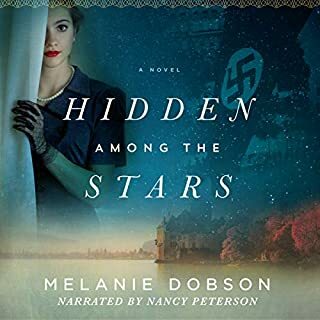 A former professor descends into darkness in this provocative story of a Nazi soldier torn between duty and conscience. East Prussia, Nazi Germany, 1939. History professor Erik Mueller is a model citizen and a family man. He's also a decorated sergeant in the Gestapo. Proving his courage on the battlefields of Poland and the Soviet Union, and proud of the German army's victories across Europe, he embraces what he thinks is the righteousness of the Third Reich's cause. But his loyalties are soon tested when he crosses paths with his old university friend Trude Bensheim. Forced into unemployment for being Jewish, Trude and her husband start a secret organization to help Jews escape Germany. But when they are betrayed by someone they thought they could trust, their lives hang in the balance. Erik feels responsible for Trude's capture, and he knows he's in a position to help them. But when everything he holds dear is at stake, will he save his friends...or himself? ©2017 James D. Shipman. (P)2017 Brilliance Publishing, Inc., all rights reserved. Loved every part of this book. It was well written and I couldn’t stop reading (listening). 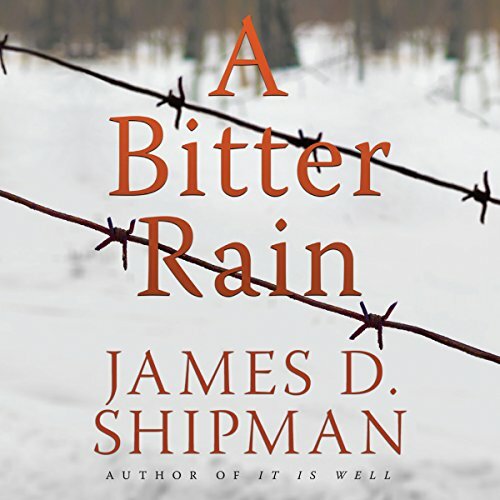 I really enjoy learning the history of WWII and I believe James did a great job portraying the sad, heartbreaking history though his characters. 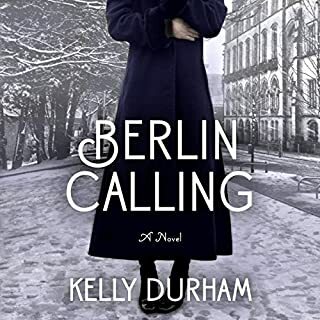 The character development was excellent and I felt I was able to get a glimpse of the different perspectives of those that lived through WWII. I also appreciate the historical information at the end of the book. This book wonderfully written,brings the reality of concentration camps and the victims to the fore front. The realization of our part as Americans or our lack of being a part of this war to help grieves me..
War criminals and escapees were regarded as war heroes in some countries. I don't understand how anyone can give this book a good review. It's poorly written--full of clichés and awkward grammar. The characters are not well-developed, but one-dimensional. which makes them boring and predictable. The plot is also predictable, and many of the scenes felt repetitive and boring, In addition, the volume and overly-dramatic presentation of the narrator was really irritating. Finally, the book was didactic--the author has a point of view to press, and we have no doubt as to what that is. If you somehow managed to miss it, he reiterates it clearly in the epilogue. The only reason I listened to the end was that I was alone on a car trip, and it was the only book I had available. I have a background in literature, and I read at least two books a week--many related to WWII, both fiction and non-fiction. I've only written one other bad review, but in this case, I felt I had to balance the other reviews and save critical readers from wasting their time and money on this book, which just doesn't make the grade. This book can be read/ listened to by any age. Clean basic Nazi history we are so close to repeating with our political disaster mr. Trump. Listen and learn from history. Wow. The dialogue in this is beyond terrible. Beyond obvious. Add that with the terrible narration and voices by DeVries and you have a painful book. I made it about 40 minutes before I quit. Ouch this one was brutal. The story at its base is very good but I found it a bet wordy at places and a little unbelievable in some points. The reader was not at all good and I found him distracting from time to time. 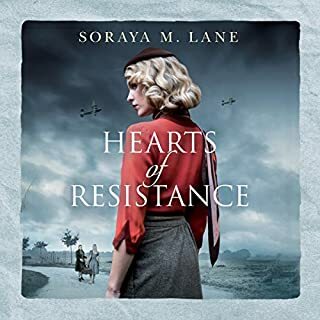 The book is worth it if you enjoy ww2 novels but there’s so many better books to choose. Great read for an airplane flight, beach day or as I was, sick in bed. You can not put it down . Read it in two days. Took you back to the days of war and survival.